At one time, orthopedic surgeons had no choice but to cut through layers of healthy tissue to reach areas in need of repair. Advances in arthroscopic surgery now allow surgeons to work in tiny spaces through dime-sized incisions. By inserting a flexible, high definition medical camera (scope) and other specialized, tiny surgical instruments, your surgeon can perform advanced procedures such as rotator cuff repair, cartilage repair, or even reconstruction of the anterior cruciate ligament in the knee, all while leaving healthy tissues intact. 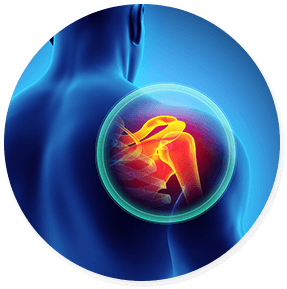 A complete rotator cuff tear (one that has gone all the way through the tissue) will not heal on its own. While arthroscopic rotator cuff repair is more technically challenging than a traditional open surgery, the advantages make it preferable to a traditional approach. During the procedure, the doctor will reattach the damaged tendon back to the large arm bone known as the humerus using a series of stitches and bone anchors. The meniscus is a rubbery, C-shaped disc that helps to cushion and stabilize the knee. Each knee has two menisci (the plural of meniscus) within the joint. Menisci can be viewed and repaired arthroscopically using highly specialized tools. Most patients are able to walk out on crutches in a matter of hours. Physical therapy usually begins within a matter of days. Using small incisions roughly the size of a dime, the orthopedic surgeon inserts a tiny camera and tools into the knee joint, allowing multiple views of the interior tissues. The surgeon will replace your damaged ACL with a healthy tendon, called a graft. ACL reconstruction will restore function and stability to your knee and prevent further injury. Most patients have almost complete range of motion once the initial post-operative swelling goes down. An inflamed synovium, or lining of a joint, can cause swelling and substantial pain in the joint. Our highly skilled surgeons can access the damaged tissue with minimal interference of other healthy joint components. The knee is one of the most common sites for an arthroscopic synovectomy (removal of the synovium). Ligaments are strong, flexible connective tissues that join two bones and provides stability within a joint. These tissues can be repaired or even replaced with less risk, less downtime, and less pain than that of a traditional open procedure. An arthroscopic approach is often ideal for removing loose or foreign bodies from areas like the knee, ankle, elbow, wrist, and shoulder. The tools are precisely sized and specialized to work in the tiny spaces of the joint, without disrupting healthy tissues. This often results in pain relief for patients who may have suffered for months or even years with bone or cartilage fragments causing pain and interfering with joint movement. If you are experiencing a painful orthopedic condition or injury, visit Total Orthopaedic Care in Pembroke Pines or Lauderdale Lakes, Florida. Our doctors will perform a comprehensive evaluation to determine if you may benefit from a minimally invasive arthroscopic procedure. To schedule an appointment, call our office at (954) 735-3535 or you can request one online. Read our patient success stories, or share your own! New and important articles related to orthopaedic medicine. Helpful information about orthopedic conditions and treatments.